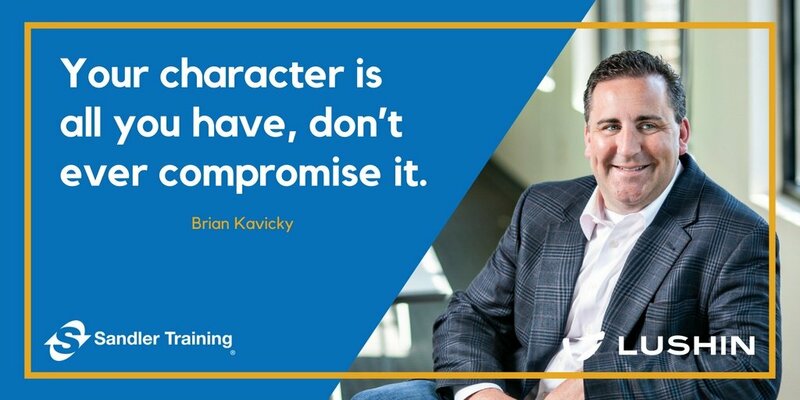 Best Piece of Advice: "Your character is all you have, don’t ever compromise it." In my previous life, I was presenting my business plan to the president and the owner of the company I worked for. We were a very large electrical wholesale company and every year I had to meet with them to talk about the previous year’s results and what my business plan was for the next year. As a multi-billion dollar company, I always felt so privileged to be presenting and getting advice on my plan on such an intimate basis from that level of company management. During this meeting, I was questioned on some of the decision making and commitments I had made to vendors and clients and they wanted to know why I would hold those commitments in a marketplace where I could do better if I took another direction. My response was simple, but my conviction to that response wavered. I felt like they were questioning my business decision making. The President looked at me very sternly. Here I was, doing what I thought was the right thing, yet I was questioning balking on my own character for the sake of business. At that moment, the president reset me, back to where I should be. I have had many inconvenient commitments and relationships since then, but those words continue to be my foundation. If that is all I really have, why would I tamper with it? Not tampering with it has served me well - things always work out for me in the long run and people never test or question my character.